Rhode Island's brewing scene continues to thrive with the growth of two beloved existing breweries. 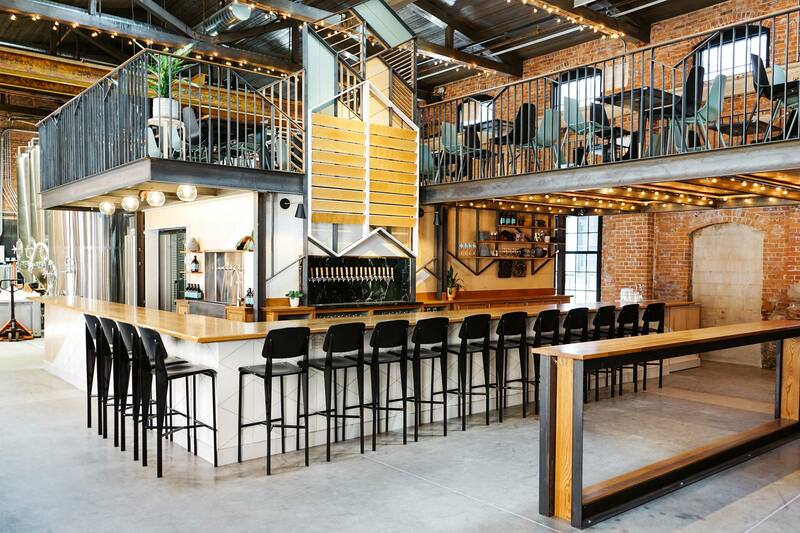 The interior of the new Long Live Beerworks, from the brewery’s Facebook page. Photo by Alex Nendza @alexnendza. Editor’s Note: This post was updated on April 17, from an earlier version. Long Live Beerworks has moved into its new home and the beer is flowing to a crowd that’s happy to oblige the extra space. The brewery opened its doors to the public earlier this month, and is now open Wednesday through Monday. The hours are Wednesday and Thursday from 3 to 10 p.m.; Friday from noon to 10 p.m.; Saturday 11 a.m. to 10 p.m.; Sunday 11 a.m. to 6 p.m.; and Monday 3 to 10 p.m. 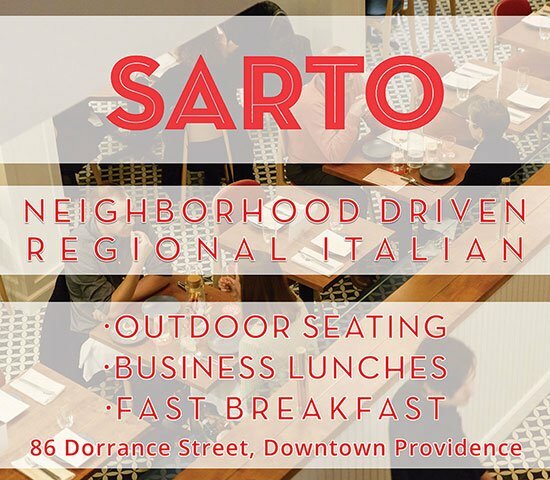 If you haven’t been yet, here’s a sneak peek at the new digs at 40R Sprague Street on the West Side of Providence which boasts two levels, including a bar with stools and more seating with tables upstairs. 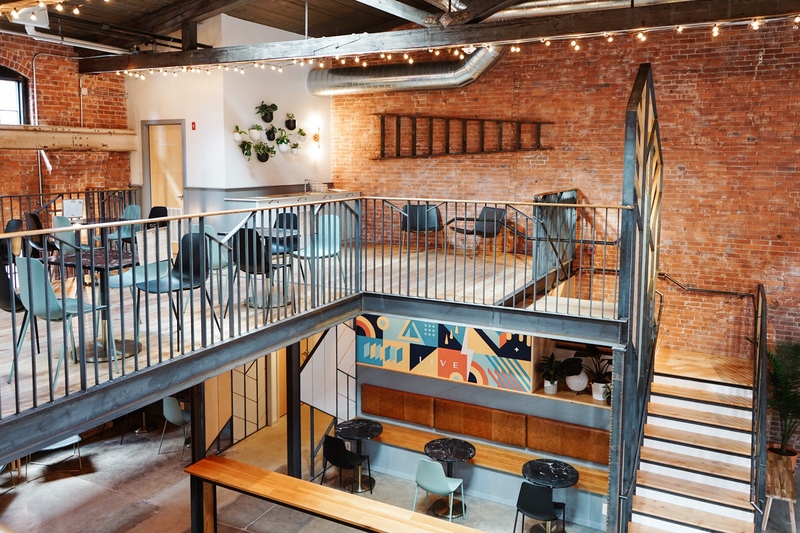 The brewery has come a long way from its standing-room-only bar, and it’s located in a building next to the new Providence Collaborative Kitchen. There is a small parking lot off Long Live’s garage door and plenty of street parking on Sprague, Elmwood and Cromwell Streets. The interior of Long Live Beerworks. Photo by Alex Nendza @alexnendza. Brewer Armando DeDona is still pouring what’s left of his new triple IPA called New Anniversary or Anniversary 3.1, the One Ton double IPA with notes of tangerine and orange, and the Ghost of Blinky, a Berliner Weisse fermented with raspberries. Please check Long Live’s Facebook page for this weekend’s can and draft selections. Renderign of the future Ragged Island Brewing Company. Design rendering by Chris Fagan at Fagan Design. 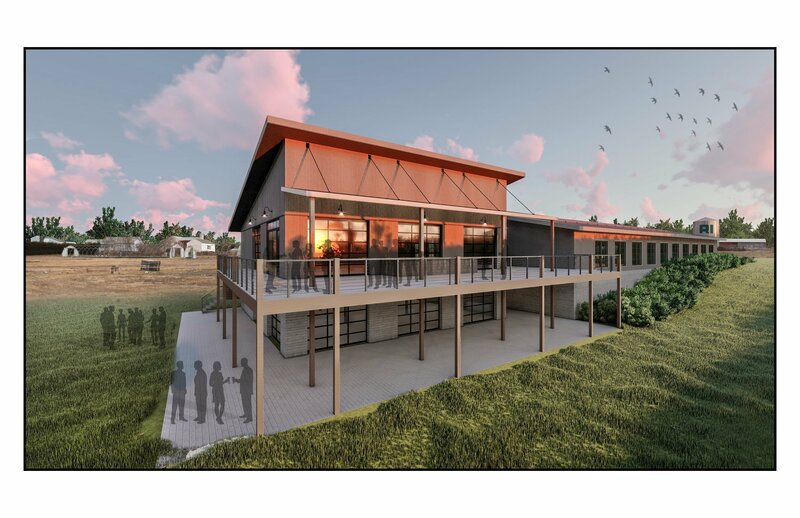 In other brewery news, Ragged Island Brewing Company received unanimous approval from the Portsmouth Zoning Board for its plans to build a farm brewery at the former Van Hof Nursery property at 54 Bristol Ferry Road in Portsmouth. Ragged Island hopes to grow hops for the beer it will be brewing while also using existing greenhouses and fields to grow additional crops for use in brewing and for the nursery business it plans to continue. Now that the brewery has gained unanimous approval from the zoning board, it will pursue the next phase of the project. “The next step would be to close on the sale of the property with the Van Hoff family. And then go from there!” says Gray.